Don't miss out on the opportunity of a lifetime to explore the astounding biodiversity of the Galapagos Islands. Discover the incredible biodiversity of the Galapagos Islands on this 10-day multi-sport adventure. Starting in the capital city of Ecuador, you'll explore Quito's rich culture, experience sweeping views of the Andes, and have access to numerous outdoor adventures. Hop on a flight to the remote archipelago of the Galapagos Islands, 620 miles off the coast of Ecuador. When you arrive, the experts at Adventure Journeys will guide you through this remarkably diverse ecosystem as you kayak, hike, and explore the islands. This socially and environmentally responsible tour will immerse you in the natural history and evolution of the islands while providing many benefits to the local island communities. Overflowing with wildlife at every turn, visitors can see giant Galapagos tortoises basking in the sun, lava lizards hiding along rocky shores, and swallow-tailed gulls swooping about. You'll hike to the top of the Sierra Negra Crater - an active volcano that last erupted in June 2018 - and encounter breathtaking views as you explore the circumference of the massive, lava-filled crater--over six miles across at its widest point! Mountain bike along the rocky coastline and lava trails of Isabela Island, kayak in clear turquoise waters off the islet of Las Tintoreras, keeping an eye out for Galapagos fur seals and marine iguanas, and swim off of the pristine white sand beaches on Santa Cruz Island. Depending on when your flight arrives, spend time exploring Quito, Ecuador's capital and a UNESCO World Heritage Site. Located in the middle of the Andes and considered the cultural capital of South America, there are endless opportunities for day trips, including visiting Cotopaxi National Park, Quilotoa Crater Lake, Papallacta Hot Springs, and more. In the morning, fly to San Cristobal airport in the Galapagos and then transfer to your hotel. After lunch, head to “La Loberia,” the home beach and nursery for the large Galapagos sea lions. Spot them launching over rocks or dozing in the sand. See yellow warbler birds, frigate birds, and several species of Darwin finches along the beach. In between the rocks you can find marine iguanas, another species which is only found in the Galapagos. You'll also have time to go for a refreshing swim, explore the waters with snorkel equipment, and enjoy the beach. The evening is free to explore the town of Puerto Moreno, where your hotel is located. Take a one-hour speed boat ride to Kicker Rock, where the two vertical walls form a channel perfect for marine life. Spend the afternoon snorkeling with turtles, rays, sea lions, and rainbow fish, before heading to Isla Lobos where you can view sea lions and marine iguanas. After breakfast, take a short flight to Isabela Island, the largest island in the archipelago and the place where most volcanic activity in the Galapagos is reported. The island is being formed by six shield volcanoes: Alcedo, Cerro Azul, Darwin, Ecuador, Sierra Negra, and Wolf. All but Ecuador are still active, making the island one of the most volcanically active places on earth. In the afternoon, head out on a mountain bike to explore the beautiful coastline on an exclusive trail, through an incredible ecosystem with a variety of wildlife. Start with a visit to the Wall of Tears, a massive wall built with lava rocks. This site dates back to when Isabela was used as a penal colony from 1946 to 1959, and prisoners were forced to build the wall to keep them from going mad due to the isolation they experienced. Explore pristine, white sand beaches, mangrove forests, and lagoons as you continue the ride along the coast. This area is filled with birdlife, including American oyster catchers, herons, flamingos, finches, and many other shore birds, as well as the ubiquitous sea lions and marine iguanas. After dinner, enjoy a breath-taking sunset at the beach of Puerto Villamil. After driving from Puerto Villamil to the trailhead, prepare for a hike into a young forest ecosystem and a world of recent geological history. The destination is the rim of Sierra Negra Crater, an active volcano which last erupted in June 2018. Upon arrival, take in breathtaking views and explore the circumference of the massive, lava-filled crater, over six miles across at its widest point. In the late afternoon, return to Puerto Villamil and go kayaking to view sea lions, penguins, turtles, and marine iguanas in the area of Tintoreras. Today you'll explore the amazing lava formations created along the seashore of Isabela Island, a magical place that has been used by the staff of BBC and National Geographic for documentaries. The labyrinth of lava arches have formed amongst the crystal-clear water where you can find huge sea turtles (sometimes man-sized), eagle rays, sea lions, fish, white-tipped reef sharks, and more. Turtles navigate their own highway from the mangroves to the open sea through “Los Tuneles.” It is here where you'll have the best opportunity to snorkel with the local wildlife, including the curious Galapagos penguin. In the afternoon, you'll have time to relax and enjoy your last moments on the exotic white-sand beaches of Isabela Island. Take a speed boat to Santa Cruz Island, where you can take a quick walk to the Charles Darwin Research Station. In the afternoon, head to “El Chato” Reserve in the highland of Santa Cruz, home to the famous Galapagos Tortoises. Hiking through El Chato’s beautiful scenery with these lumbering giants is an unforgettable experience! You'll also see other highland wildlife on this hike such as pintail ducks, egrets, flycatchers, and finches, and observe the frigate birds which gather to wash the salt off their feathers at a freshwater lake. Today, you can experience the Galapagos at your own pace. You have the option of going on a self-guided exploration walk through a dry forest to Tortuga Bay (about 3.5 miles long), a beautiful white sand beach and nesting site for thousands of marine turtles. This beautiful place is perfect for swimming or snorkeling (or you can rent kayaks for $10). Other optional activities are an extra cost and include a day excursion to Floreana Island or Bartolome Island or scuba diving. Savor your last moments on the Galapagos Islands, transfer to the Baltra airport, and fly back to Quito. Enjoy one final breakfast in Ecuador, say your farewells, and transfer to the airport for your return flight home. This was truly the trip of a lifetime. Our guide, Christian Valencia, was the best guide we could’ve had. 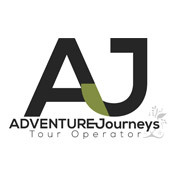 Adventure Journeys was created by a group of knowledgeable expert leaders in order to offer the most amazing group adventure experiences and tailor-made trips, adjustable to the needs and requests of their guests. Their mission is to achieve customer satisfaction through their unique client-centered philosophy. Their clients’ happiness, enjoyment, and education are the cornerstones of the company’s reputation and success. Adventure Journeys offers upscale, personalized service and quality to their guests. They focus on highlighting the beauty, environmental significance, and astounding cultural diversity of the Ecuadorian mainland and Galapagos Islands. In addition, their approach to tourism and the local community is to offer sustainable and responsible programs tailored to each individual client. From start to finish, our trip exceeded our expectations. The accommodations that were included were some of the nicest places in the country and blew us away with their variety and eco-friendly approaches to providing comfort. The activities that were planned for us fit our lifestyles perfectly, and we enjoyed each one for what they individually offered. Having Christian as our guide was possibly the highlight of the trip. We all got along well and my wife and I are both adamant that our trip would not have been what it was without him. You can never expect things to be perfect but this adventure was about as close as we could have imagined from this standpoint. We would recommend Adventure Journeys to anyone and hope to use them again in the future if we are able!! Thank you all so much for providing this opportunity to us. My husband Gary & I would like to thank Adventure Journeys for the wonderful 3-week journey we took recently. It is a company we would recommend to anyone who is planning a trip to Ecuador. During our trip, Christian, the guide, showed us the Ecuadorian Pacific coast, the central areas of Ecuador, and Quito and it was all so beautiful! We especially enjoyed Baños as he suggested. With Adventure Journeys we found that we could rely on safe driving and security at all times. Driving along in the van we were amazed at all Christian knew about the history, flora, and fauna of the country and it was fun to get Spanish lessons along the way too! Thank you again for all that you did for us and we will definitely call Adventure Journeys again for our next adventure in your awesome country. Daniel really made our trip better than we expected. We feel we really lucked out getting him as our main guide. Nice to see someone who enjoys his job so much. All the hotels were very good and the locations were excellent. Our last hotel with a pool was our favorite. This was the most amazing wildlife adventure we have ever been on. Are all departure dates guaranteed? Please note there is a minimum of two participants required to guarantee each departure. Please wait until you've received confirmation from Adventure Journeys before making any travel arrangements. How do I get to Quito, Ecuador? American Airlines, Delta, United, and Copa, among others, serve Quito (UIO). Most flights will route you through either Miami, Houston, or Atlanta. Round-trip flights between the Galapagos and Quito are not included, though the flight to Isabela Island is included. Please contact Adventure Journeys before making your flight arrangements to the Galapagos, as they will instruct you on which flights/airports/dates are needed to book. You'll be staying in first-class and tourist class hotels in Quito and on the Galapagos. Pricing is based on sharing a room with one other person. If you would like to request your own room, a single supplement of $560 will need to be paid directly to Adventure Journeys before your departure. This trip includes nine breakfasts, which consist of coffee, milk, tea, juice, eggs, and bread. Three boxed lunches of sandwiches, snacks, fruit, water, and juice are also included. Other meals during the trip are at your own expense to give you some flexibility about where you dine. Your guide will be happy to provide recommendations. This will depend on your spending habits, but in general plan to bring about $500 USD for additional expenses such as meals not included in the itinerary, souvenirs, and gratuities. Please also note the trip does not include the Galapagos National Park fee ($100), the INGALA transit card ($20), and the Isabela Island fee ($10). The average group size is 12 with a maximum of 15. Is there a weight limit for luggage for the flight to the Galapagos? Yes. Any luggage weighing over 12 kilos / 26 lbs will incur an added fee ($2 USD per extra kilo / 2.2 lbs). You're welcome to leave extra luggage in the hotel in Quito. You can also do laundry in the Galapagos for a minimal cost. The Ministry of Tourism of Ecuador has issued a new law for all visitors to Ecuador and the Galapagos Islands. An Ecuador Health Insurance Requirement is now compulsory for the length of stay in the country. This is compulsory for all foreigners entering Ecuador as tourists. Book confidently with Free Cancellations within 72 hours of booking. After 72 hours, cancellation fees will apply. Cancellations are subject to the full discretion of Adventure Journeys. For more information on our Travel Cancellation Policy please Click Here.